Food prep in the kitchen is so much nicer when there are sharp knives to hand. 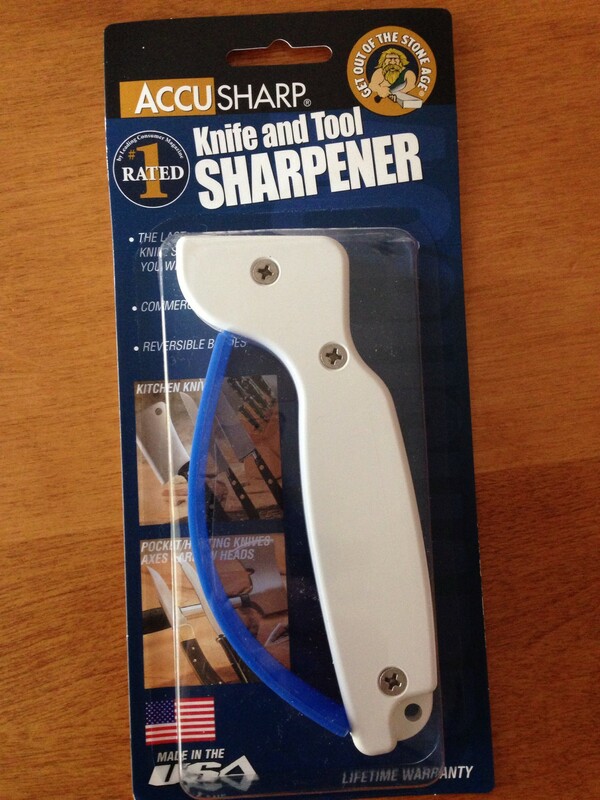 I have had this AccuSharp knife sharpener for about 3 years and I LOVE it. It is simple, quick to use, and does a better job sharpening than any other device I have tried. I like it so much I have bought one for each of my daughters and one for my husband’s step mother as well. 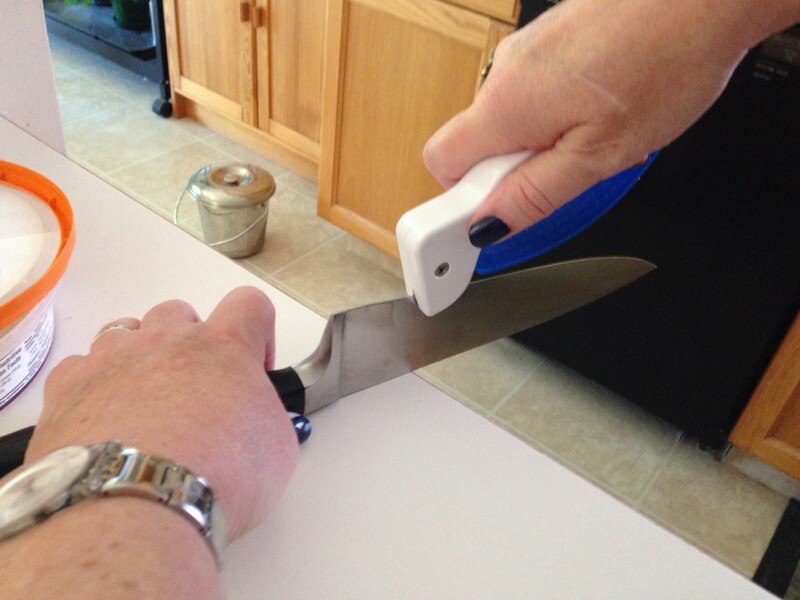 Only a light touch is required to run the sharpener over the knife. I like that the knife stays stationary and the sharpener moves. I want to preserve all my fingers for other purposes! I have tried one where I drag the blade across a stationary block, it does the job but I often wonder how long its life would be. Three years is quite respectable for a knife sharpener I would say! Yes it is, and you can flip the sharpener blades to use the other side (haven’t done it yet) and they have replacement blades available as well.